MIKE OLDFIELD TUBULAR BELLS RARE ORIGINAL FIRST PRESSING AUSTRALIAN VIRGIN CD! MIKE OLDFIELD - The Orchestral Tubular Bells CD Virgin / EMI Australia AS NEW! 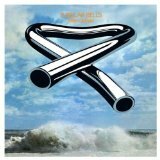 Sorry, no matches on iTunes for "Tubular Bells Mike Oldfield".